underskriftsindsamling: Sign the Sci-Five Pledge! Support the Smithsonian's Mission To Discover and Spread Knowledge. Sign the Sci-Five Pledge! Support the Smithsonian's Mission To Discover and Spread Knowledge. Since its founding as the nation's premier scientific institution, the Smithsonian has been at the forefront of scientific innovation and education, conducting groundbreaking research, leading critical conservation efforts and working with educators and curators to share knowledge globally. 1. To remain forever curious about our world, expanding the boundaries of my knowledge and remaining open to new ideas and experiences. 2. To support the application of scientific advances, evidence and new technologies in addressing our planet's biggest challenges, from averting climate change to preserving endangered species. 3. To value the perspective of others, recognizing the importance of bringing diverse experiences to the scientific mysteries and challenges we face. 4. To champion curiosity and wonder by empowering lifelong learners and scientific programs that seek to explore and question the world around them. 5. To spread my love of science far and wide, promoting the work of the Smithsonian and encouraging others to take advantage of its resources. 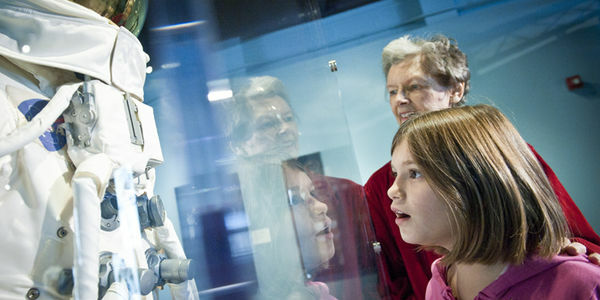 Sign the Sci-Five pledge and support the Smithsonian's mission to discover and spread knowledge. Now, give yourself a Sci-Five!